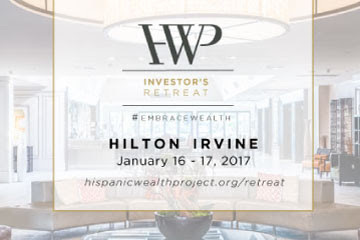 The HWP Investor's Retreat aims to provide top tier practitioners with the tools needed to close the wealth gap by focusing on two issues: mindset on wealth (the WHY) and strategies necessary to achieve this goal (the HOW). Learn the techniques and strategies live from prolific investor and philanthropist Foster Stanback. ¡Feliz año nuevo, NAHREP familia! 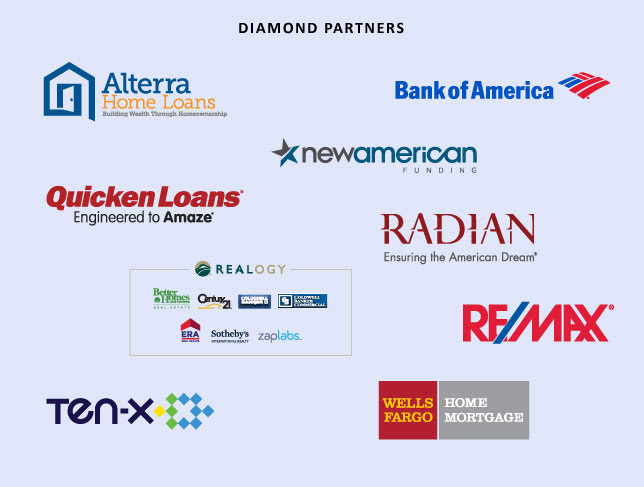 NAHREP and I extend a heartfelt thank you to our members, supporters, and contributors for their unwavering dedication to the association and to our mission of sustainable Hispanic homeownership. 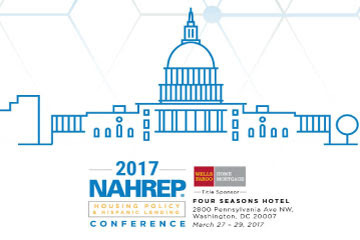 At NAHREP National, we are immensely proud of what we have accomplished together. 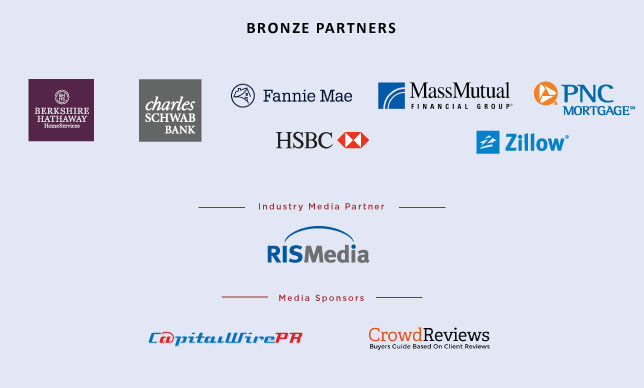 The Housing Policy & Hispanic Lending Conference is an annual vehicle for policy makers, industry leaders, and practitioners to convene and work together on the association's mission of sustainable homeownership. Take part in three days of education, advocacy, and insight at the Early Bird rate today. 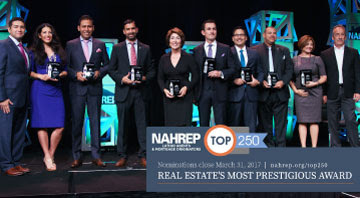 The Top 250 Award has become one of NAHREP's most recognized and decorated programs. Top 250 honorees are nationally recognized as leaders who set the industry standard. Take part and nominate yourself or someone who deserves to be celebrated! 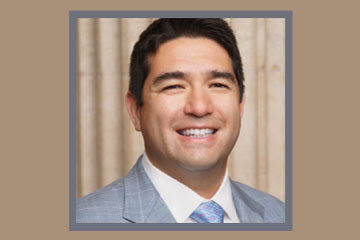 Earlier this month, NAHREP industry media partner RISMedia sat down with NAHREP CEO Gary Acosta and discussed the association's success over the past year and his outlook on 2017. He talks about major milestones, and shares what makes NAHREP such a strong and valuable part of the industry. 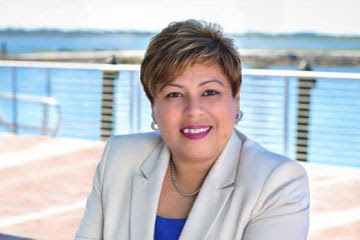 Daisy Lopez-Cid is Broker/Owner of RE/MAX Premier Properties in Orlando, Florida. She has served on the NAHREP National Board of Directors since 2013, and is a Past President of NAHREP Central Florida. She will be formally installed in her new position at the NAHREP Housing Policy and Hispanic Lending Conference. 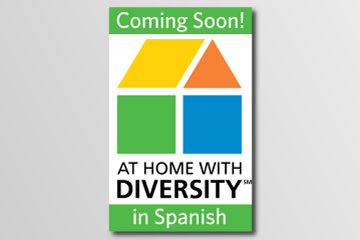 At Home With Diversity is an National Association of REALTORS® certification course that equips real estate professionals with the tools to serve the growing number of diverse buyers and sellers. The course teaches agents about diversity and its impact on the real estate industry, building an inclusive business plan, and how to earn the confidence of all potential clients. 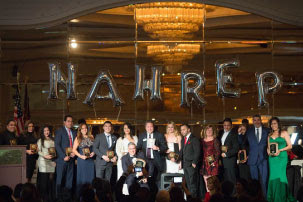 NAHREP Chicago ended a phenomenal year in style at the Holiday Party & Installation Ceremony on December 1. 2017 President Gaspar Flores Jr. was sworn in at the event along with the 2017 Board of Directors. 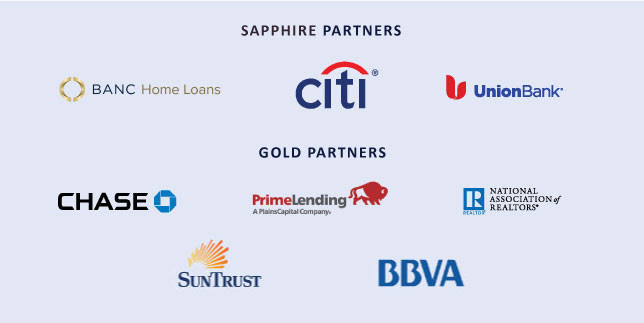 The chapter also recognized regional winners of the Top 250 Latino Agents & Mortgage Originators Awards. 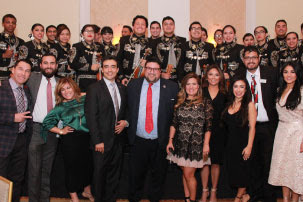 On December 3, NAHREP Las Vegas brought in the new year and the 2017 chapter Board of Directors at the Latin Gala & Installation event. The chapter welcomed 2017 President Fritzi Ortiz at the celebratory event, which was covered by local newspaper Las Vegas Business Press. Click here to read the article. The Greater Phoenix Chapter closed out the year with a celebration to thank and recognize members and supporters. 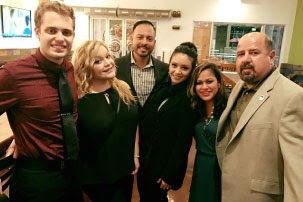 The event was held December 14 and brought together supporters of the chapter for a night of festivities. Celebrating the close of a great year, NAHREP North Texas swore it's 2017 Board of Directors in at the Installation Dinner. 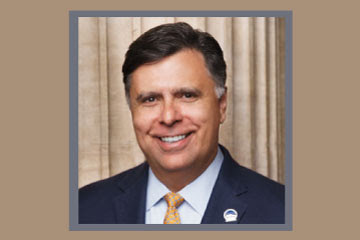 The December 15 event brought together the chapter's members and supporters as they swore in Robert DeLeon as the 2017 President. 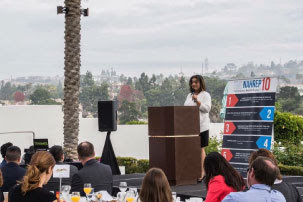 On December 15, NAHREP North County San Diego held the Holiday Brunch and Installation Ceremony. The group swore in 2017 Directors and welcomed Cecilie Nelson to the helm of the chapter. NAHREP 2016 President Joseph Nery was in attendance and gave a 2017 association outlook. During an evening of celebration, the San Fernando Chapter installed it's 2017 Board of Directors and 2017 President Olivia Chavez. 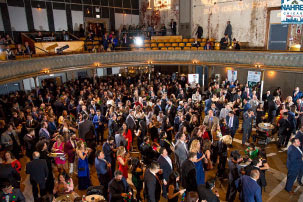 The event was held on December 15 and featured dancing and special guest Gary Acosta. Copyright © 2016 NAHREP®, All rights reserved.